Do you wanna go fast? Are you ready to boost your Polaris Slingshot to the next level of power and performance? The Polaris Slingshot Turbo kit by DDMWorks takes your Slingshot from the stock 155HP at the wheel, to a tire shredding 295 HP with 300 ft/lbs of torque at the wheel. The kit runs an easy 9 psi of boost and uses the most advanced turbo available from Borg Warner as the heart of the turbo kit. The other parts of the kit use proven parts chosen for reliability and consistent smooth power from our years of forced induction experience. Installation is designed to be completed by the average homeowner over a weekend and provide a big boost in power with smooth drivability that is reliable and easy to drive. Turbo – When picking a turbo, we wanted to use the best available for our kit, that turbo is the Borg Warner EFR 6758 turbo. The Borg Warner EFR turbo is the most advanced, versatile turbocharger on the market. Packaged in a compact housing, the turbo compressor offers outstanding power across a wide range of airflows with high efficiency. Although the compressor is amazing, the exhaust turbine is what takes the EFR turbo to a new level in performance. The super low inertia Gamma-Ti material of the exhaust turbnine provides response and power that cannot be matched by any other turbo making the same power. To further help with response, the turbo features a ceramic ball bearing center cartridge with water cooling. These features are only offered on the Borg Warner EFR turbo and with the other components of our kit deliver uncompromised power, performance and response. Turbo Adapter – The DDMWorks turbo adapter is a one of a kind design, CNC machined from solid billet stainless steel. Using 3-D printed technology to ensure a perfect fit, this adapter allows the turbo to bolt direct to the factory exhaust manifold or most of the aftermarket manifolds available for the Polaris Slingshot. The adapter comes already installed on the turbo allowing for a quicker more confident installation. ECU / Tune – When adding a turbo to the Slingshot one of the most important elements is the tune that makes the kit run safely and reliably. Therefore DDMWorks spent time focusing not only on full throttle power but also working extensively on the day to day drivability of the system. The cost of the turbo tune is included in the price of the kit. MAP Sensor - The kit includes a genuine GM 2 Bar MAP Sensor with a custom harness for a simple plug and play installation. Upgrade Fuel Injectors - Our kit includes upgraded, larger fuel injectors to make sure the injectors are in a safe operating duty cycle and can supply all the fuel necessary to run on a stock engine safely. Blow Off Valve – One of the great features of the EFR turbo is an integrated blow off valve. This feature makes for an easier installation and super fast response. Wastegate – The EFR turbo comes with a highly efficient integrated internal wastegate. 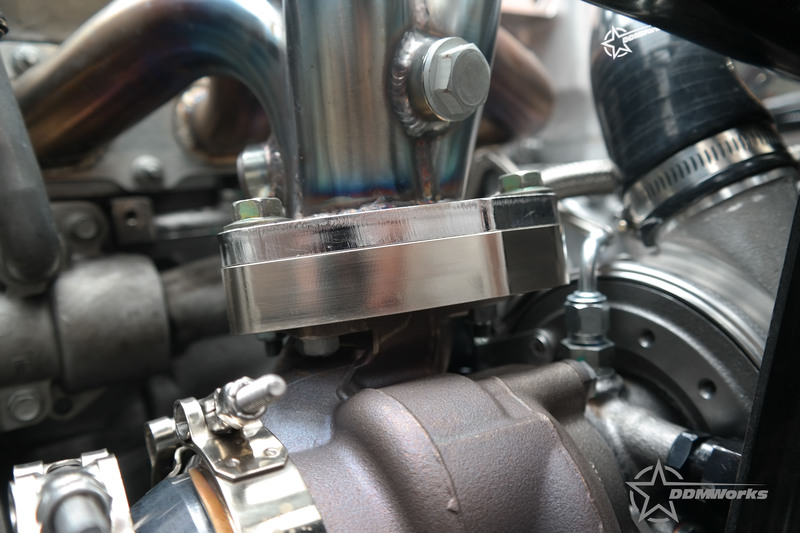 This wastegate comes pre-adjusted from DDMWorks for the correct boost level. The internal wastegate allows for rock steady boost control without boost spikes or overboost that can lead to engine damage. Front Mount Intercooler – The DDMWorks custom designed and manufactured front mount intercooler is made especially for the Slingshot. This intercooler has a custom lower mount and shrouding to help direct air into the intercooler to maintain low post intercooler temperatures. Charge tubes leading to and from the intercooler are available in black or red as standard with custom colors available on request. Air Filter - Includes a new genuine K&N air filter that is re-usable and comes with a million mile warranty. Fittings and Oil Lines – The DDMWorks turbo kit is delivered with a new oil pan ready for install with a bung pre-welded for the oil drain, no core charge is required for the new oil pan. The oil supply, oil drain and water lines are manufactured from stainless steel braided lines and beautiful aluminum AN fittings on the ends. Hardware - All of the nuts, bolts, ects required for installation. No trips to the hardware store for parts you had no idea you needed! Notes: The turbo system is designed to hook directly to the Welter 2.5” boosted setups if not using the DDMWorks race exhaust. Installation for the Slingshot turbo kit by DDMWorks is estimated to take around 7-12 hours depending on experience. There is no need for cutting or welding, and a color installation manual is provided with every kit. 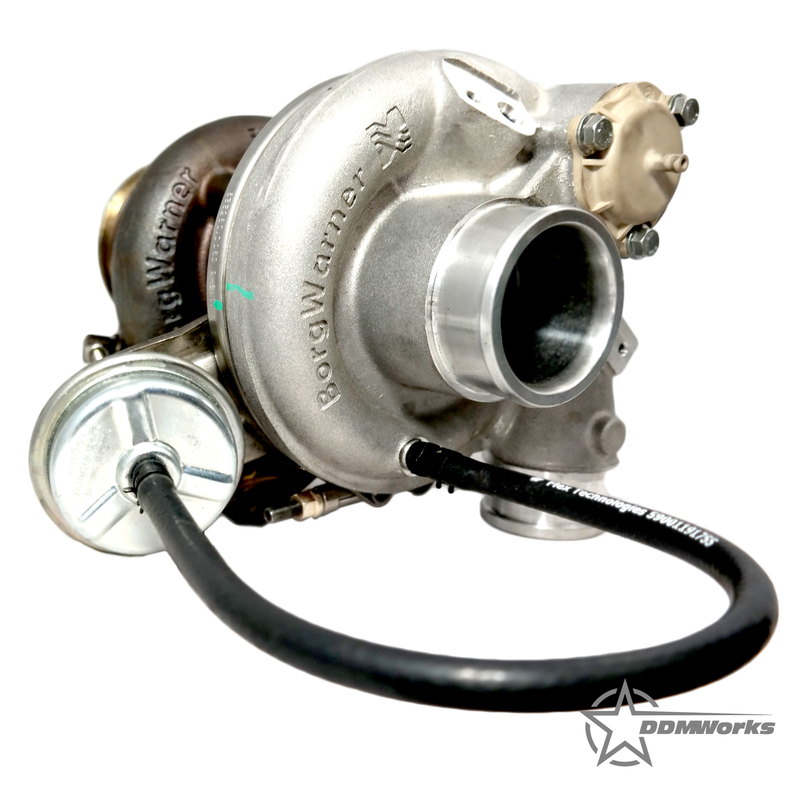 DDMWorks backs the turbo kit with a 1 year warranty against material or craftsmanship defects. Full technical support is available via phone, email, or text. The kit was designed to be installed easily by owners at home over a weekend , however, we do recommend that this kit is Professionally Installed. We also offer install service on this kit! Pricing starting at $900 for install of entire kit! Contact us to schedule an appointment! Enjoy an additional 5% off. Use code FNA5 at checkout. Fast Shipping anywhere in the US! F n' A Automotive has been servicing the industry for several years. We work on all cars from subarus and infiniti's to GTR's. We can take your boring OEM headlights and completely change the whole look of the car through customization. Contact us with any and all quesitons you may have for us! Copyright © 2018, F n' A Automotive, All Rights Reserved.